Faculty of education was established in 2005 by Dr. M.G.R. Educational and Research Institute, approved by National Council for Teacher Education (NCTE), F.TN/SEC/SRO/NCTE/2005-2006/4064, dated 19-10-2005. It is a co-educational institution offering two years B.Ed. Course with an aim to achieve professional values and developing learning skill among the teacher educators by generating 4Cs – Curiosity, Creativity, Competence & Compassion. Students are trained well in both theory and practice of teaching methodologies in the various subjects related to the B.Ed. course. Students are given practical training in various schools under the expert guidance of experienced faculty members. The core aim of the B.Ed. Course is to equip students with excellent skill and capabilities in the art of teaching both in the theoretical and practical methodologies. A student should take up any ONE among the following papers, subject to be approved by the Principal. Graduates and Post-Graduates who have Tamil or English as their main subject of study can take up both the optional subjects from the same subject, namely, Tamil or English as the case may be. All graduates shall offer their respective major subject of study as Optional – II, Optional – I may be the subject they may opt from their ancillary / Tamil / English. Teaching practice will have to be undertaken in a recognized high/higher secondary / matriculation / matriculation higher secondary or senior secondary school. The duration of the internship will be 40 working days. 2. Psychological Experiments and School / Community Based Activities. The Medium of Instruction is English. The dedicated team of our faculty members will guide the students in their training and practice. Well-furnished spacious classroom with Internet and Wi-Fi enabled campus. Portable LCD Projectors, Laptops, audio visual equipment’s are provided for students and staff members to improve the teaching and learning process. 1.Modern Lecture Halls, Laboratories (Physical Science, Biological Science, Psychology, Language, Computer Science). 3.Highly qualified and experienced staff. 4.Updated Computer / Internet Facilities. 6.Separate hostel facilities for male and female students. 7.Well-connected and convenient transport facilities. 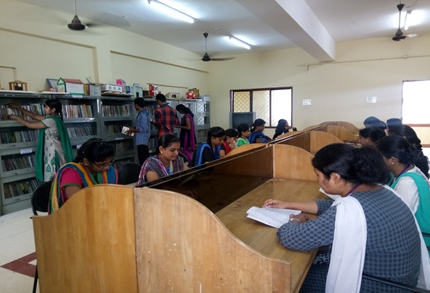 8.Fully equipped library with recent publications/journals/magazines. 9.Co-curricular / extra-curricular activity opportunities. Seminars / Workshops / Conferences / Visits etc. 10.Tie up with 20 government schools for practical teaching experience. Digital Library with E-Books, journals etc. 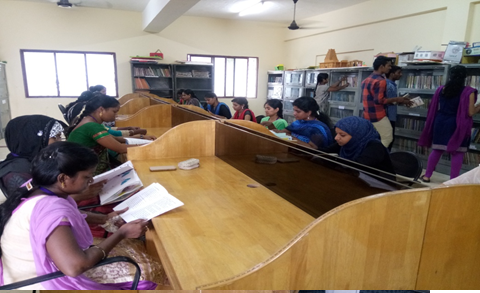 The Faculty of Education of Dr. MGR University, Chennai is having a tie-up with a large number of Government and management schools in Chennai and Thiruvallur Districts to provide for the requisite training in "Observation and Practice Teaching”. The admission to the B.Ed. course at Dr. M.G.R. University is strictly based on the norms stipulated by The National Council for Teacher Education. The Candidates should have passed the U.G.Degree Examination in the 10+2+3 stream, with the same main subjects in part III, for which he/she is seeking admission in the B.Ed.course. The Minimum marks required for each category is given below. Candidates with P.G.Qualification alone will be considered for Economics,commerce and Home Science. To Consider for P.G.qualified candidates, the candidate should have passed the UG in the same major subject. A Candidate will be admitted to write the B.Ed Final Examination if he/she has secured a minimum of 80% attendance during his/her course of study. For more than a decade i.e. from 2006 – 2018 the Faculty of Education has been producing 100% results and this has been possible by eminent and dedicated faculties. The Management honour the Staff producing good result in University Examination. Academic Toppers are awarded by Medals and Certificates. Centum Result Award from Tamil Nadu Govt.